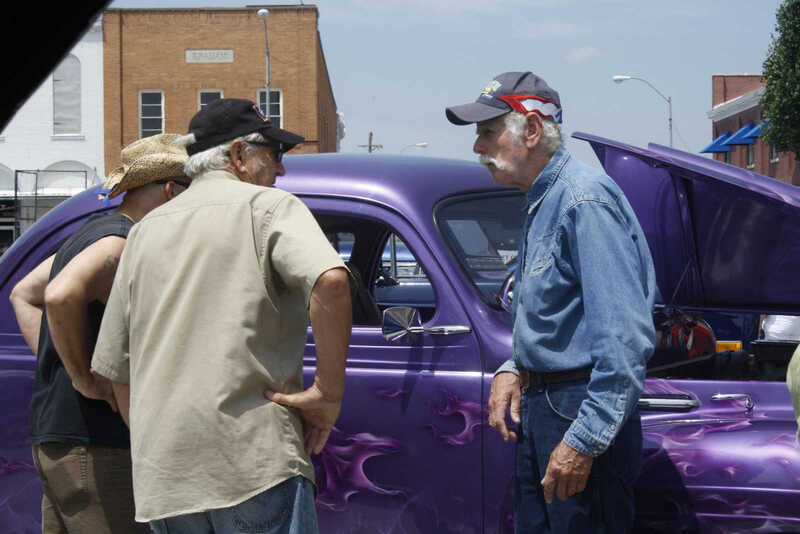 Larry Glaze, right, tells car show attendees about his 1940 Plymouth. Glaze, who is from Carthage, said his father bought the car in 1940. When Glaze's wife, Judy, developed cancer several years ago, restoring the car made its way onto the couple's bucket list, but wasn't finished until several years after her death. Glaze said he now enjoys sharing the car's color and design with others at area carshows. 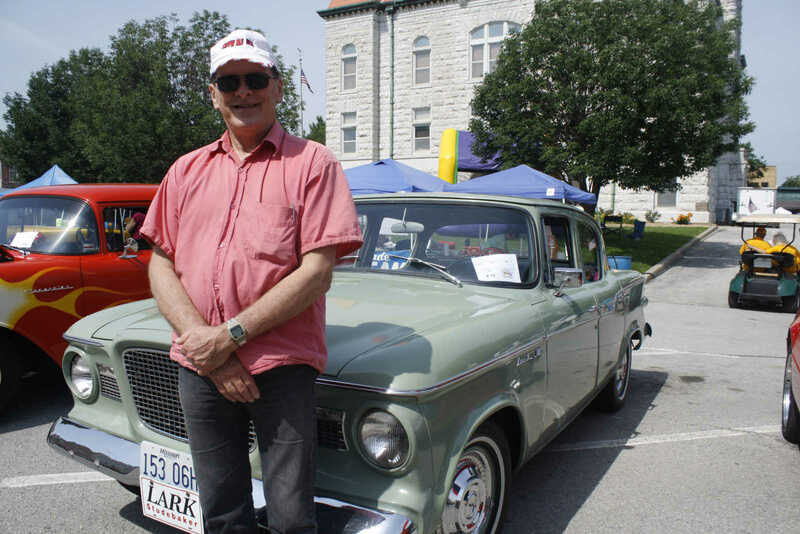 Larry Walton stands next to his 1960 Studebaker. Walton, who grew up in Nevada, said he enjoyed returning and reliving his teenage years crusing around town. "I learned to drive in a car just like this," he said. 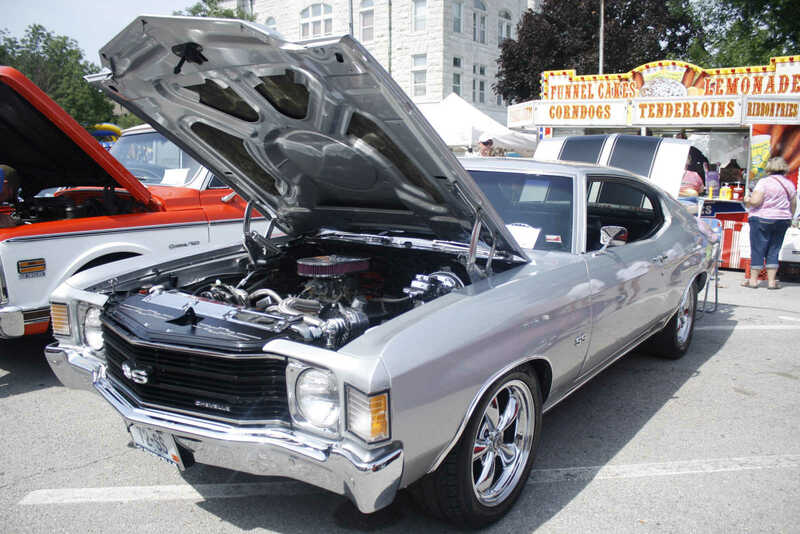 A 1972 Chevy Chevelle, owned by Tim Holmes, sits for display at the Bushwhacker Days car show. 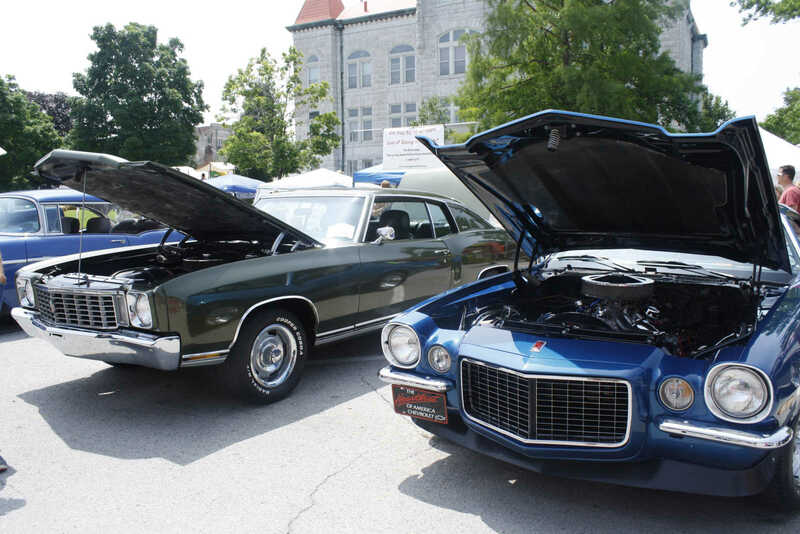 A 1972 Chevy Monte Carlo and 1972 Chevy Camaro are parked with raised hoods to show of clean engines at the Bushwhacker Days car show. The Monte Carlo belongs to Brian and Joyce Hall, while Denton and Annette Hixon own the Camaro. 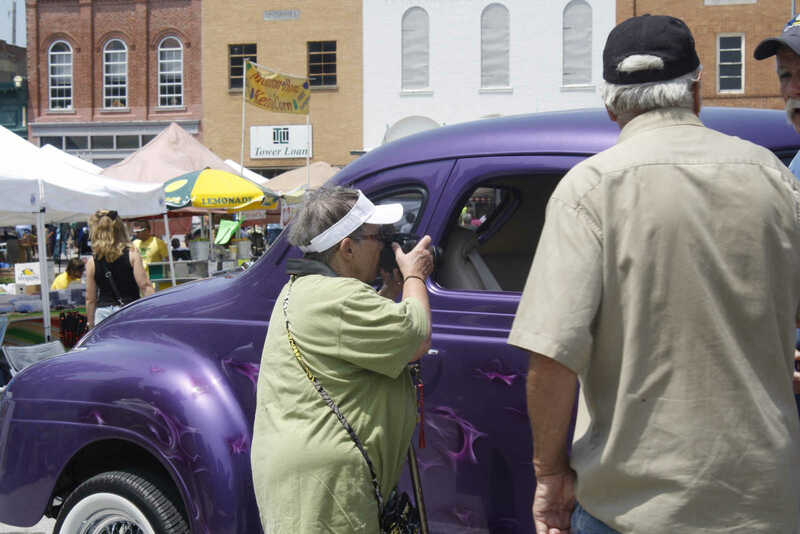 Leslie Carroll-Bartlett snaps a photo of a 1940 Plymouth during the Bushwhacker Days car show.